The CRM are far from impressed with the geothermal production results. They will hold a press conference this week where they will speak to a Statement they have prepared to provide information to the public. They will seek to show that the development in which they have brought about through much initiative and been involved with and encouraged for many years, is not the success it should have or could have been. The following is a summary of what the public can expect to hear much more about. The Committee for the Redevelopment of Montserrat (CRM) is a registered non-government organisation established to promote and facilitate the reconstruction of Montserrat after the volcanic eruption that began in July of 1995. At this point in time, CRM is putting on record its considered opinion that the results of the project funded by the British Government in the amount of 8.5 million pounds to drill 2 geothermal production wells on island, have been at best disappointing if not bordering on failure. 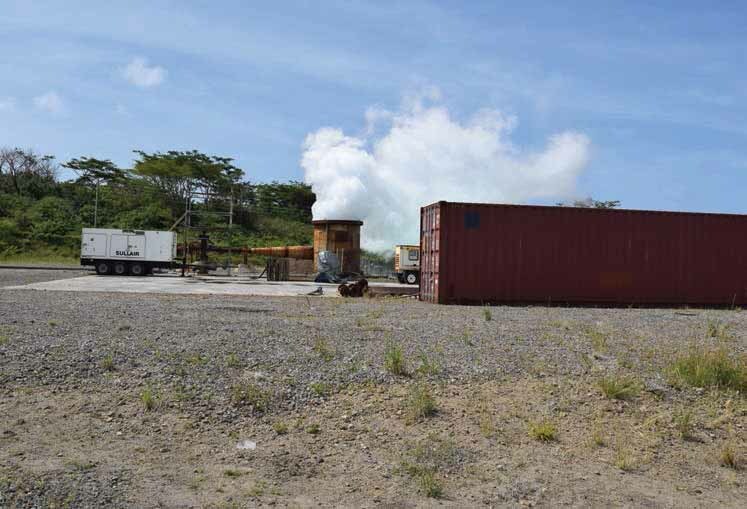 It is necessary to summarise critical events preceding the British Government’s release of the project funds as well as CRM’s connection with the entire geothermal enterprise. The Summary begins: After the CRM led demonstration in March 2006 which caused the John Osborne led administration to change its decision to give away control of Montserrat’s geothermal resource to a foreign owned company for a mere 4% royalty, CRM met with the coalition government headed by Dr Lowell Lewis to discuss the future of geothermal development. The Hon. Reuben Meade and his colleague the Hon. Charles Kirnon were members of that coalition administration. At that meeting, the government decided to establish an Energy Committee charged with the task of taking forward geothermal development. Represented on that Committee were two CRM members (initially Jim Bass and Ray Tyson or their alternates). Other members were the Director of Public Works (Chairman), the Managing Director of Montserrat Utilities, a representative of the Department of Environment, and a DFID representative (at that time the engineer Mr. Steve Price). An Energy Committee was formed by Government, members of CRM served on this committee which took the resource search for geothermal energy to fruition. Production wells whether they are drilled for exploration reasons or as a part of a development program, are larger diameter wells designed for producing steam and /or hot water on a continuous basis to supply a power plant. (i) For any geothermal development these are the only wells that can produce fluids to a power plant. (ii) With the proper drilling rig they can handle any adverse drilling conditions such as high temperature and pressure as well as bad drilling formation. (iii) With directional drilling more production wells can be drilled from a single drilling pad. In addition directional drilling allows second and third wells to be completed from the same well which can significantly reduce the resource risk. That DFID’s Dr Kimbugwe, DFID Adviser Michael Allen and Energy Committee Chairman Beardsley were preparing the contract to drill the production wells was revealed when in June 2012 Chairman Beardsley emailed CRM representative Ray Tyson a draft tender document for a drilling contract. Given the very precise procedures for tender preparation and the technical imperatives inclusive of directional drilling, drill rig power and other specifications set out in the EGS final report, CRM representatives considered the draft tender contract to be severely inadequate. CRM representatives on the Energy Committee were never allowed to see the final tender document. They subsequently understood that only a 750 horse power drill rig was tendered for instead of the EGS recommended Atlas Copco Predator Drilling System or C1000 which approximates to 1000 horse power. 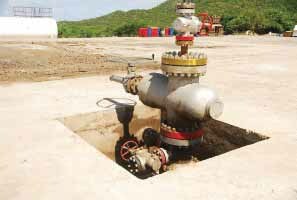 ( Note: Many persons within the island community are of the view that it is a 520 horse power drill rig that has been used to drill the production wells in Montserrat. Messrs Kimbugwe and Allen should confirm whether or not this is so). Most shocking however, is that a copy of the tender document obtained after the contract was signed and drilling was well under way, clearly shows that no directional drilling capability was requested. 11. CRM has provided the factual information above to support its contention that after the preparation of the Business Plan and the British Government’s provision of the 8.5 million pounds to drill the production wells, CRM representatives and other members of the Energy Committee were effectively excluded from meaningful participation in the procedures leading up to the actual drilling process by Chairman Ron Beardsley, the Head of the DFID office on Montserrat, Dr Kato Kimbugwe and Mr Michael Allen, who prepared the Business Plan. The disappointing if not failed results from the production wells drilled to date are their responsibility alone. Presently, at the end of June 2014, the 8.5 million pounds have provided to the people of Montserrat, production wells Nos. 1 and 2 demonstrating clearly limited or in our view disappointing performance. Well No 1 at the entrance to the road leading to Foxes Bay has had to be stimulated with pumped water. At well No 2 situated on the Corkhill road across from the former Seventh Day Adventist School, as stated by the Ministry of Communications and Works engineer monitoring the drilling exercise, the internal diameter of the drill pipe at the bottom of the well is only 4 inches. This diameter, as pointed out above within the EGS feasibility study is inadequate for conventional commercial operation.